It is unfortunate that after the age of 25, our skin and body starts to lose its ability to produce collagen, the building block and foundation of skin and other tissues. Collagen is a super-protein that makes up over 75% of your skin, hair, nails, bones, and muscles. As collagen starts to decrease it shows up in ways that you notice such as aging skin, osteoarthritis, muscle fatigue, aches and pains, illnesses, etc. Without these gatekeepers of hydration and moisture in your skin and hair cells, you may have started seeing things like wrinkles, dark circles, and thinning hair. So just what are you supposed to do to help stay healthy and keep collagen in your body not to mention add anti-oxidants and probiotics (which are in the digestive system and help maintain a healthy balance of the body's immune system)? You take supplements! I have discovered the latest and I would say the best supplements that are on the market right now. Crushed Tonic is a company that makes a supplement in the form of marine collagen peptides, probiotics, biotin and the addition of superfoods to help ward off aging, keeping skin looking young and healthy, to keep the body feeling young and healthy and to make you feel young and healthy. I was lucky enough to try a sample pack of four flavors and next I am going to try my favorite flavor for a whole month to see how it makes me feel and look. What makes these supplements so special you ask? All of these ingredients, combined together, have been clinically proven to strengthen and optimize your skin, hair and health from within. Yes, these have been clinically proven to work. Below I'll show you the results of two studies that were done with the Crushed Tonic flavors and you can see the results for yourself. By measuring the shadows created by one's wrinkles pre and post study, surveyed respondents reported a significant decrease in wrinkles (average of -9.73%) by week 12. Crushed Tonic has been seen and reviewed in the following magazines and websites: Allure, Refinery29, Coveteur, Well + Good and Fab Fit Fun. After I do the 30 day program of the Turmeric crushes I will again post on how I feel. Hopefully I will have better skin, less inflammation in my body and my hair, skin and nails will be radiant. I am really looking forward to trying out this regimen. I like these a lot. 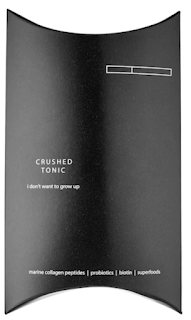 The Crushed Tonic Sampler Kit is available from www.crushedtonic.com and www.sephora.com, and SEPHORA stores. 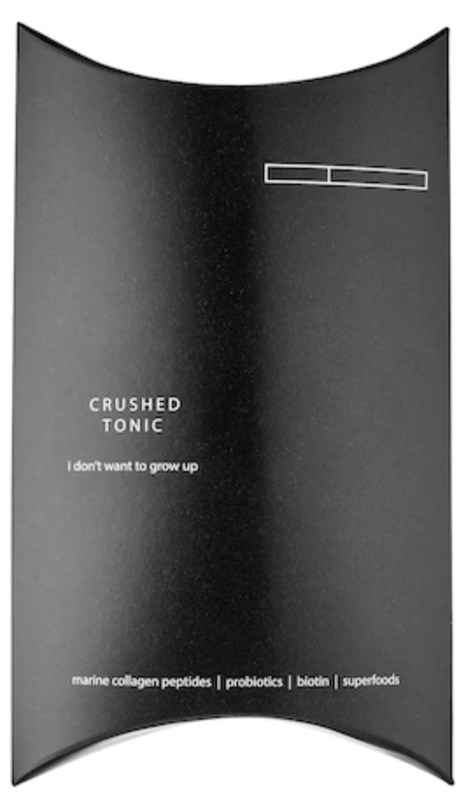 Like Crushed Tonic on Facebook: https://www.facebook.com/crushedtonic; Follow Crushed Tonic on Instagram: https://www.instagram.com/crushedtonic/.